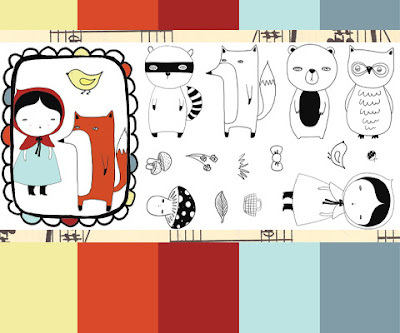 What does a girl with a hood, a fox, an owl, a bear, a raccoon, a mushroom, a bird and even a little lady bug have in common? 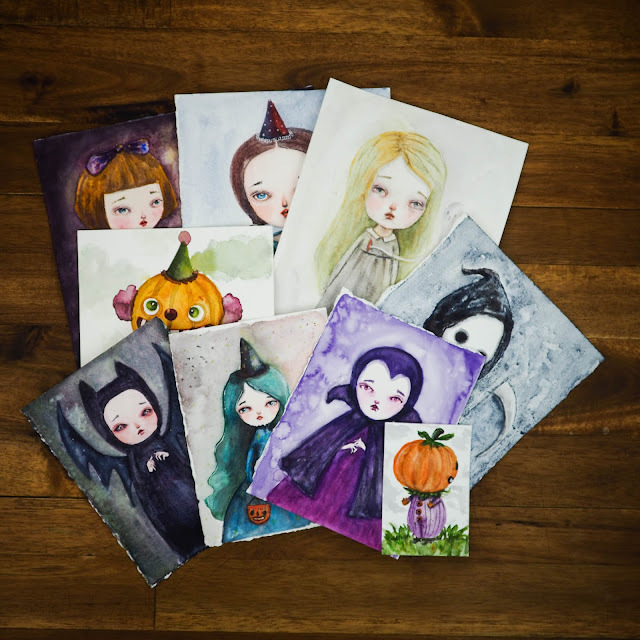 They are all part of my new Woodland Parade set of stamps at Crescendoh! I'm super excited about this set... I can't wait to get mine and start playing with it. The possibilities! I'm thinking not only a parade, but also different combination of girl and animals (like in my "Me and my animal" series). I'll show you some ideas as soon as I play with my set. Want yours? Get it here! These look so cute. I am on my way over to check them out.You inspire me Danita! Qué bonitos! Me encanta tu arte! Oh my, these sure are cute. you should really consider using some of your designs on Spoonflower!!! I know they would look gorgeous!! lovely stamps! These are adorable! I can't wait to check them out! Great work!